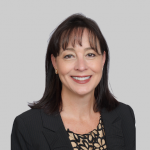 Adrianne Court, Chief HR Officer of Alkami, has extensive US and international business expertise with 25+ years of Human Resources leadership experience with public and privately-held organizations spanning in size from 500 to 50,000 employees. Due to the sustainable and business-relevant culture, talent and human resources programs championed, she helped organizations achieve noteworthy recognitions, including BEST PRIVATE COMPANIES FOR LEADERS, TOP 25 BEST PLACES FOR RECENT GRADS, STRATEGIC HR EXCELLENCE, BEST COMPANIES TO WORK FOR; and, she was named 2013 HR EXECUTIVE OF THE YEAR by DallasHR. She, along with 13 other writers, co-authored Bravely She Flies released on Mother’s Day 2017 a book giving women an opportunity to voice and share stories of resiliency. She has a BA from Scripps College, MA from Southern Methodist University and completed studies toward a PhD from Dallas Baptist University.